A signifier represents the person you are doing a reading for. 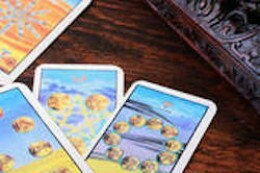 You can choose any of the 78 cards as a signifier: But you might want to leave the Major Arcana in the deck for the reading since they represent Archetypal life journeys. The court cards best represent the signifier since they are symbols of actual people or energies of people. Once the signifier is chosen lay it on the table facing you. 2. Second choose by color Wands are of a fair and/or freckled complexion. They have blonde, auburn or red hair and their eyes can be dark or light.Cups are of a fair or medium complexion. They have light brown, gray or blonde hair color. Their eye color is gray, blue or hazel.Swords are of a dull or olive complexion. They have brown or black hair. Their eyes are light colored.Pentacles are of a dark, sallow or ethnic complexion. Their hair color is black or very dark brown. Their eye color is dark or brown.So if you are doing a reading for a male in his forties with red hair you would choose the King of Wands as signifier. 3. Since physical looks can change, another way to choose is to decide if the person is male or female, the age and the astrological sign. 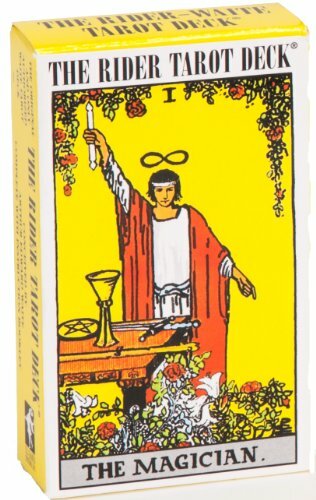 So if you are doing a reading for a male in his forties who is a Cancer you would choose the King of Cups as signifier. This entry was posted in Tarot and tagged card, choose, how, pick, reading, signifier, tarot. Bookmark the permalink.